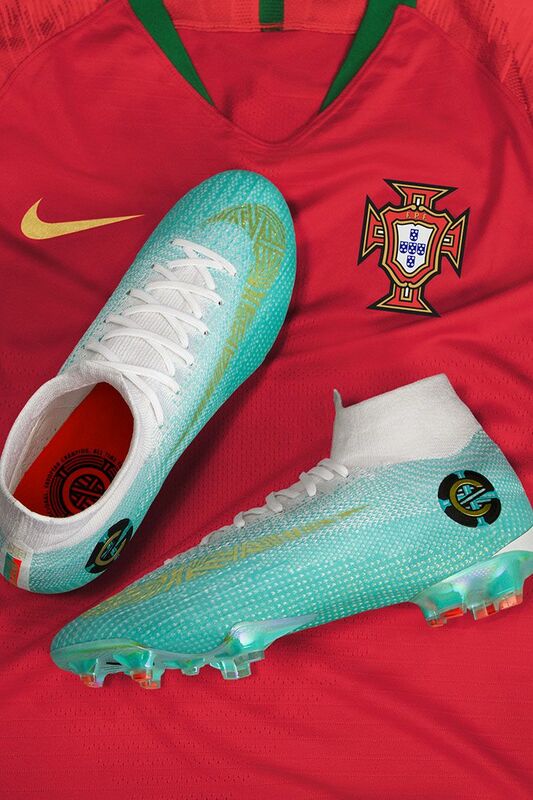 Portugal's phenomenal captain just can't stop. 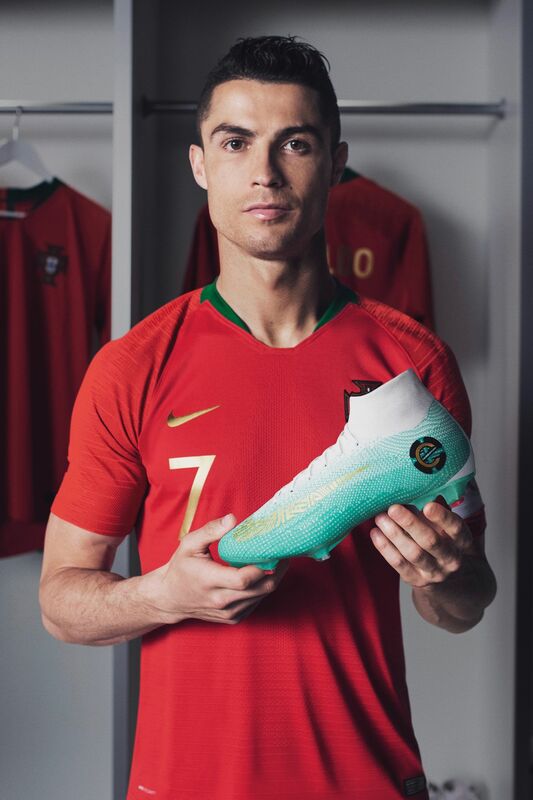 In 154 games for his country, CR7 has netted more goals than any European player in history. 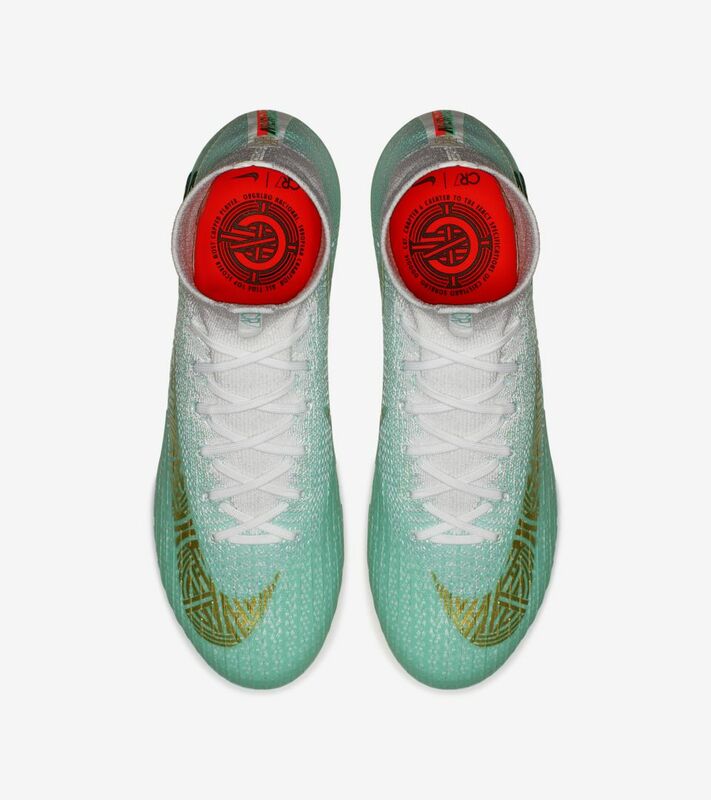 This special Mercurial Superfly 360 tells the story of his extraordinary legacy, with an ultra-limited release of only 154 pairs. 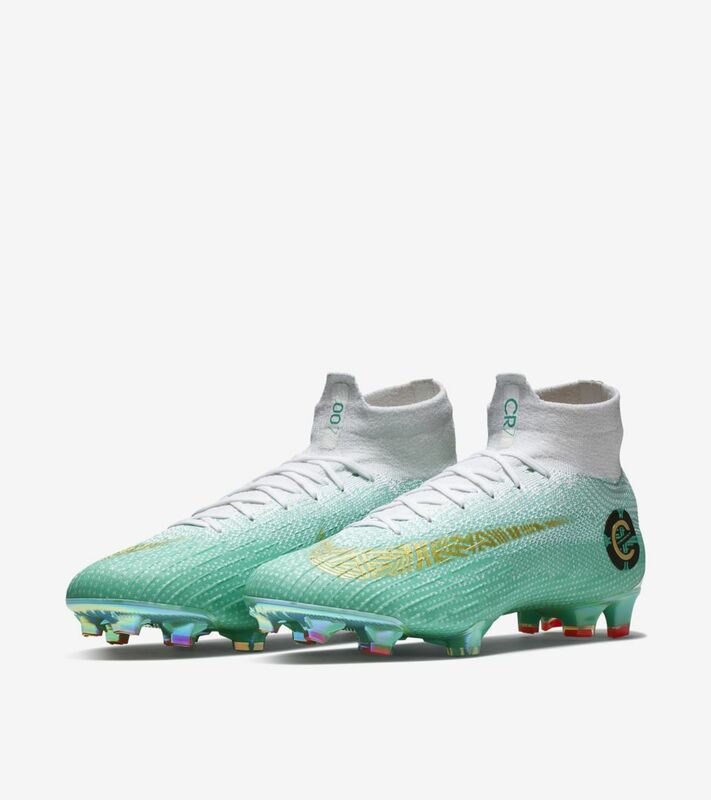 The pale turquoise colourway represents Portugal's previous away kits and history—while the white reflects the pure instinct of CR7's play. 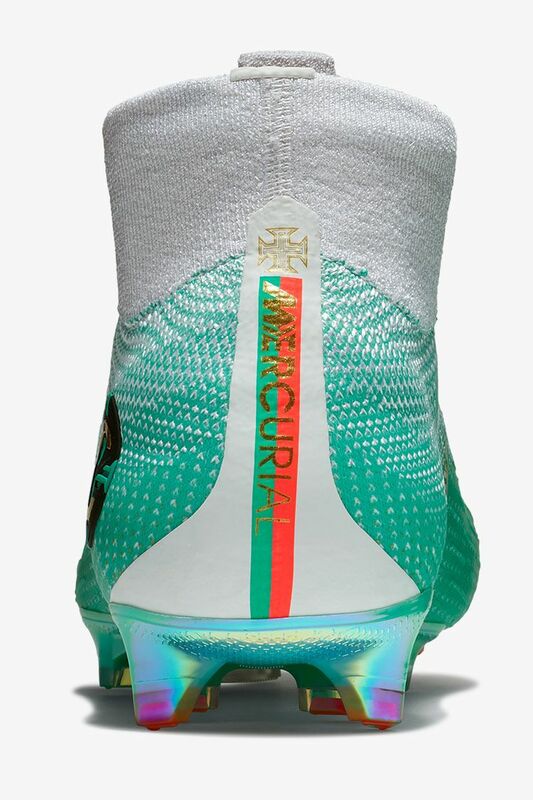 A 'C' for Cristiano recognises his role as Captain of Portugal, and sits on top of an armillary sphere. 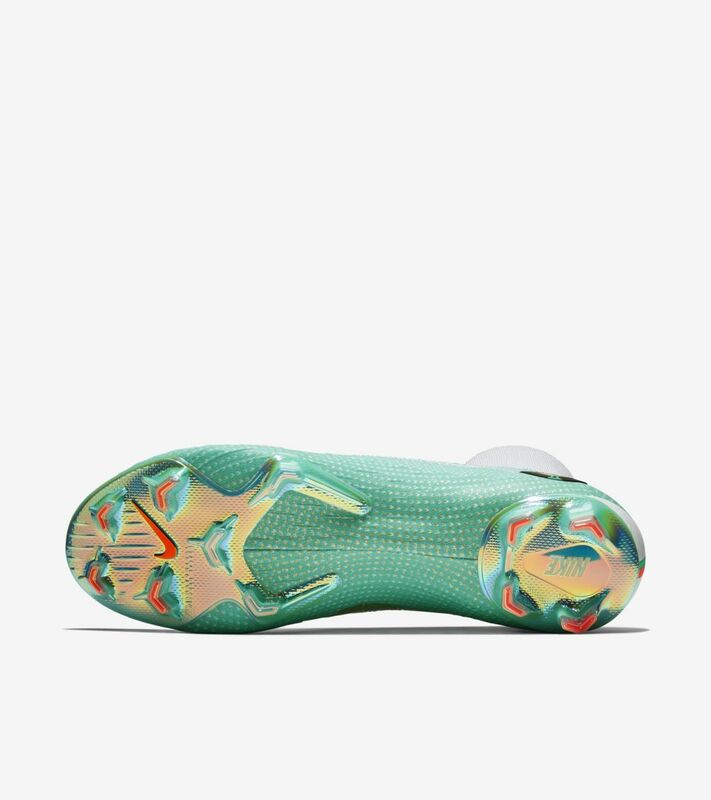 The nautical device is a tribute to the country's rich maritime history and is featured inside both Swooshes. 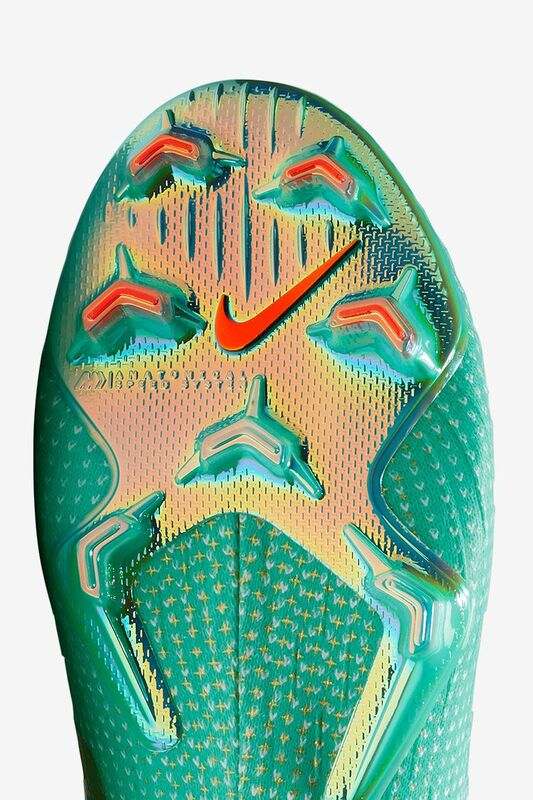 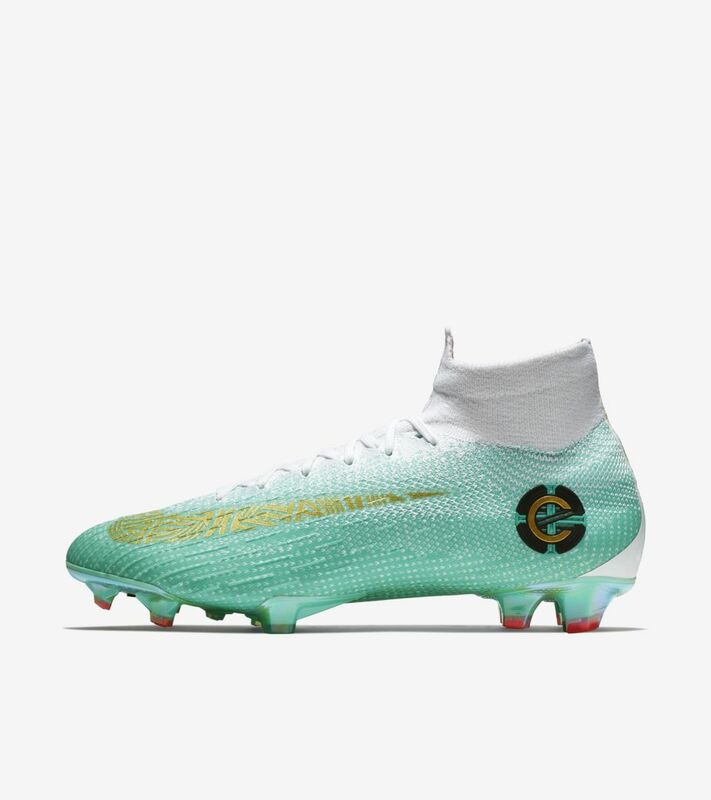 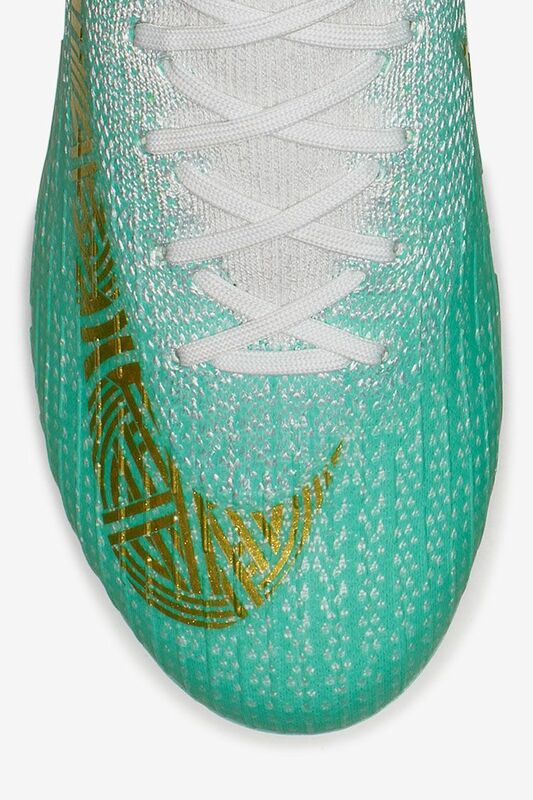 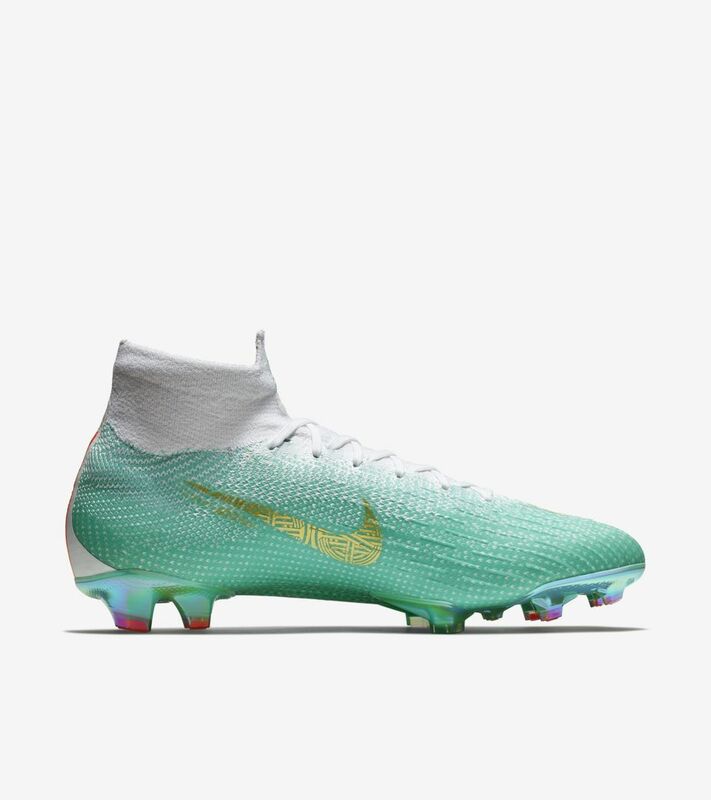 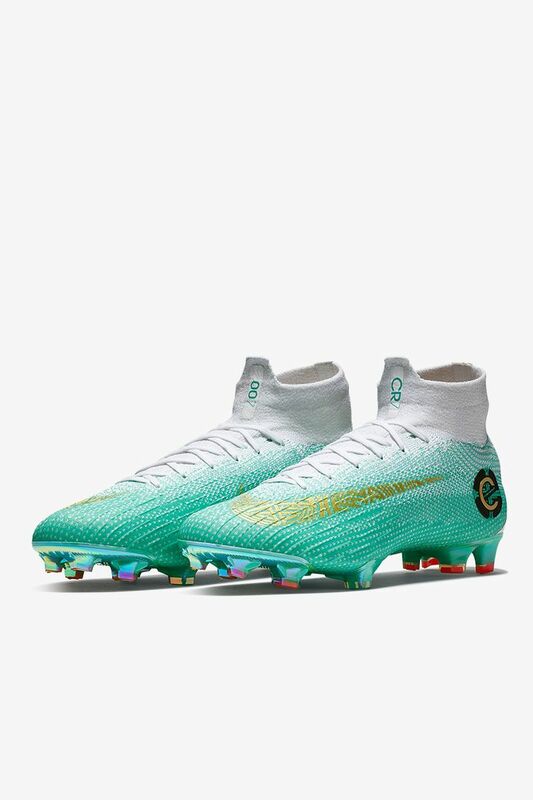 CR7's player edition features all the technology of the Mercurial 360, wrapping the entire foot in Flyknit, embedding Nike All Conditions Control (ACC) into the upper and eliminating the soleplate, for traction only where you need it. 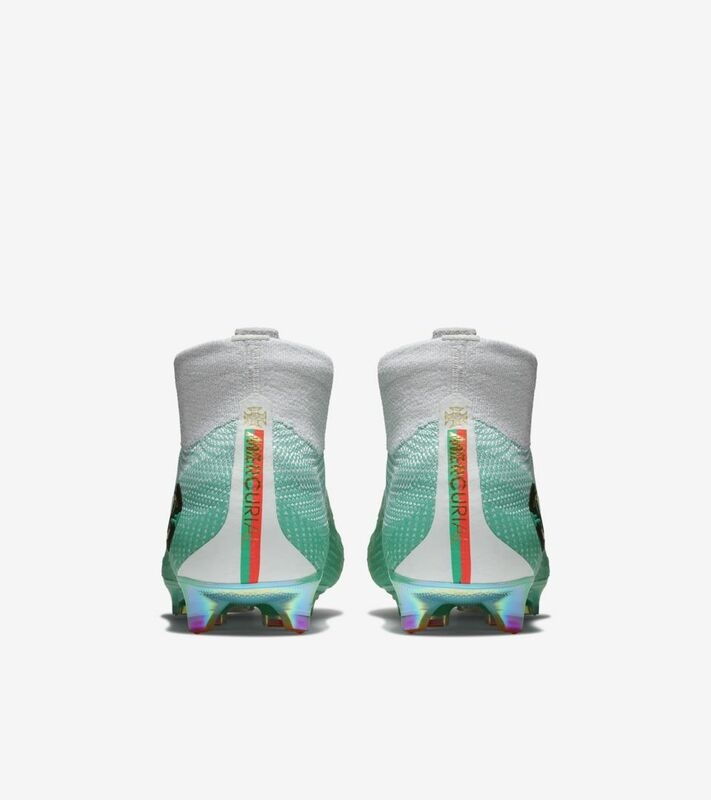 The result is a boot built for explosive speed in all directions.